Home » Information » What is Permanent Cosmetics? Permanent Cosmetic Makeup also known as Semi-Permanent and Micropigmentation, is an innovative procedure, in which carefully applied Hypo-allergenic pigments are implanted using disposable tiny micro-needles into the dermal layer of the skin (unlike permanent tattoos which go much deeper). Save time and look great every day, all day! 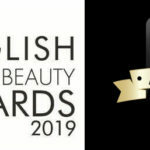 Tracy Fensome, Finalist for two Permanent Makeup Awards! Subscribe here for up date news and special offers.